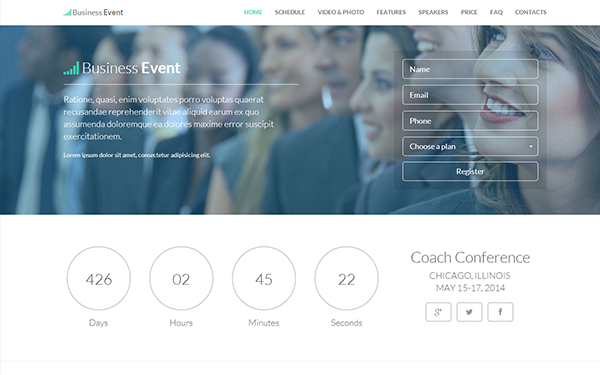 Business Event is an easy to use, clean, simple and responsive landing page that made from Bootstrap Framework. This item is designed for any events. Item Reviewed: Business Event Responsive Landing Page 9 out of 10 based on 10 ratings. 9 user reviews.